December 6, 2017, 8:39 PM · As recently as a few decades ago, the roster of just about any major symphony orchestra consisted almost solely of white male musicians. While the classical music world has made strides in diversity since that time, much work remains for orchestras to achieve the kind of diversity that reflects their home communities. 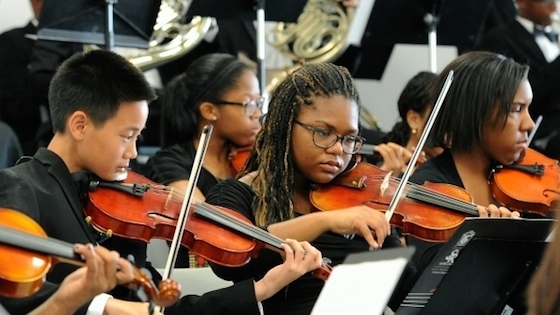 In fact, a 2016 report on diversity issued by the League of American Orchestras found that less than five percent of orchestra musicians are African American, Hispanic or Native American. The fellowship is the brainchild of Scott Harrison, director of the Los Angeles Chamber Orchestra (LACO), and Charles Dickerson, director of the Inner City Youth Orchestra of Los Angeles (ICYOLAS/ICYOLSA), in partnership with the University of Southern California Thornton School of Music. Four musicians -- two violinists, a violist and a cellist, will be chosen for full-time fellowships that will begin in August 2018. The fellowships are designed for young musicians who already have completed a bachelor’s degree in music. Each fellow will be enrolled in USC Thornton's Graduate Certificate Program and will be expected to perform and rehearse with LACO, ICYOLA and USC orchestras. They will coach ICYOLAS/ICYOLSA students; perform outreach concerts as a quartet; and receive audition coaching from LACO. In return, they will receive about $140,000 in benefits, including actual fees for performances, audition travel stipends, housing, and USC tuition. The program is primarily funded by grants totaling $700,000 from the Andrew W. Mellon Foundation. "It's for each individual to decide if they fit the criteria of the program: which is that they belong to a community that is traditionally underrepresented in American orchestras," Harrison said. LACO is working with organizations like the Sphinx Organization, the Gateway Festival, the Color of Music Festival and conservatories around the country to recruit applicants. To understand why these kinds of fellowships are needed, it helps to understand some history behind the movement for diversity in classical music. 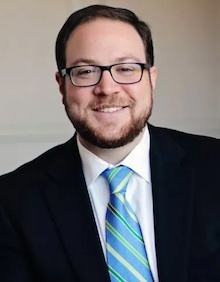 One could argue that it began in Detroit, the same city where Harrison spent five years as vice president of advancement and external relations at the Detroit Symphony Orchestra. "Being in Detroit was seminal, in terms of my own personal journey of understanding the real importance of diversity and equity work to an orchestra and to an arts organization," Harrison said a phone conversation last week. The issue gained nationwide attention long before Harrison came to Detroit - in 1989. That was when a number of Michigan state legislators "withheld nearly $1.3 million in state aid and threatened to boycott and picket the orchestra's concerts if the orchestra did not hire more blacks," according to the New York Times. In a city that was nearly 60 percent black, the Detroit Symphony had just one black musician. Auditions were held behind a screen, but that was not yielding a diverse group of musicians. Clearly, there was a shortage of black classical musicians auditioning, but solving that problem would require long-term solutions. The DSO started its own Fellowship Program - the first of its kind - in 1990, after the controversy. The idea was - and still is - "to enhance the career development of African-American orchestral musicians and the diversity of professional orchestras." Seven years after that, Aaron Dworkin started the Sphinx Competition, now part of the Sphinx Organization, built on the premise that talent needed to be encouraged and cultivated and other barriers needed to be addressed in order to allow more minority musicians to enter the field of classical music and then to thrive in it. Having worked more recently at the DSO, Harrison said that the organization's long-term efforts to increase diversity have resulted in a wholesale shift in priorities. It turns out that diversity is more than a box to check off, or a set of feel-good intentions. It not only opens doors for deserving individuals, but it also allows an organization to better reflect its community, paving the way for more involvement, creativity and giving. In other words, a commitment to diversity can lead to a thriving arts organization. Harrison came to the Los Angeles Chamber Orchestra about two years ago. "It's probably not an exaggeration to say that LA might be the most diverse city the world has ever seen," Harrison said. "There is not a type of person or type of experience that you can't find in this city. It struck me that being a relevant and vital and meaningful arts organization would mean taking concrete steps to diversify and increase inclusion within the organization." His first meeting as director of LACO was with Dickerson, the founder, conductor and director of the Inner City Youth Orchestra of LA. "We said we need to work together," Harrison said. "We know the goal: the goal is that we want to create a more diverse and equitable classical music world." They started with small projects: bringing youth orchestra students to concerts, setting up master classes, having boards and staffs get to know each other. Then they approached USC Thornton about starting a fellowship program together. "All three organizations and their leadership were simpatico on the goals and were willing to work out the details to get there," Harrison said. With LACO, fellows "will have significant performance opportunities and mentoring, with a mock audition and professional development opportunities with LACO musicians and staff. They'll also play within the orchestra for a number of concerts." They will be part of the musicians union and the fellowship will pay their union dues. "The second component is that they will receive a graduate certificate at USC," Harrison said. "As part of that, they will study with a faculty member at USC Thornton, which has one of the best string faculties in the world. They'll also do chamber music coaching and perform in the USC Thornton Symphony. Also, being part of the USC community will offer them a lot of resources and benefits for their health and well-being. They'll have access to the student services at USC and be part of that community, and be making connections with other young adults and young professionals." With the Inner City Youth Orchestra of Los Angeles, the fellows will be mentors and role models, leading section rehearsals and teaching students. This will help keep that pipeline going - younger people seeing the success and opportunities for people of color who are slightly older than themselves. Young musicians in the Inner City Youth Orchestra of Los Angeles. Photo courtesy of ICYOLAS/ICYOLSA and LACO. Classical music is a difficult field, from any perspective, but "individuals who come from underrepresented communities, particularly communities of color, often face additional barriers on the way to achieving their goals in classical music," Harrison said. "There might be economic barriers, barriers of network, there might be barriers of structural racism that still unfortunately exist and persevere in subtle but meaningful ways. We want to help to eliminate some of those barriers and provide pathways and entry and resources that might help overcome some of those longstanding and structural barriers that exists." Beyond that, "we're only going to continue to survive and thrive as arts organizations if we better represent the communities we serve," Harrison said. "Our country is diversifying; our cities are diversifying; our rural areas are diversifying at an amazing clip. If our institutions stay immune to that, then we're doing so at our own peril. We very quickly will find ourselves irrelevant: cut out of funding opportunities, cut out of the conversation. We will become dinosaurs." people on stage, the people in the office, the people in the board room, the composers, the conductors -- if they're not fully representative and connecting with a number of communities, it's not going to get us anywhere." For more information about the LA Orchestra Fellowship, please click here. For the application page please click here.